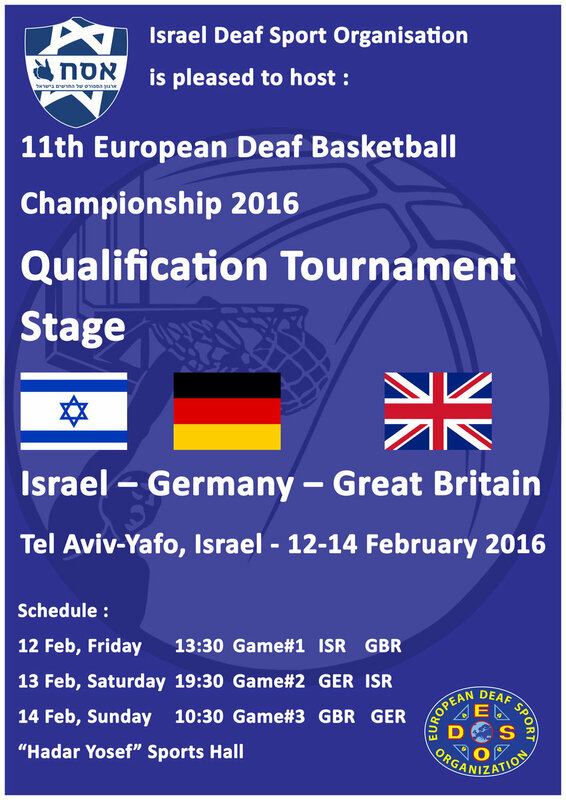 EC Basketball 2016 qualification tournament in group B will be held in Tel Aviv-Yafo, Israel 12 - 14 February 2016. Please see all documents in the attachment, and the deadline for final entry form is 12 January 2016. 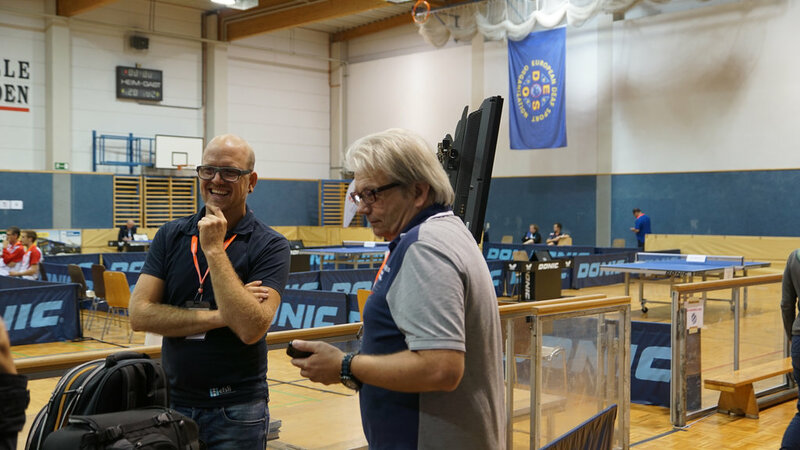 Jürgen Endress is responsible for this tournament and he will be there, please contact he (basketballass@edso.eu) if you have any questions. 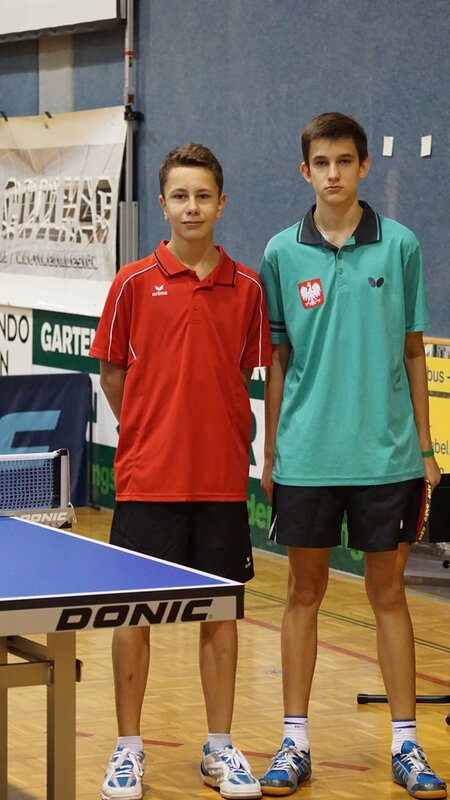 Jürgen wish you good flight to Tel Aviv-Yafo/ISR and all best of luck for qualification matches. We would be happy about additional applications. 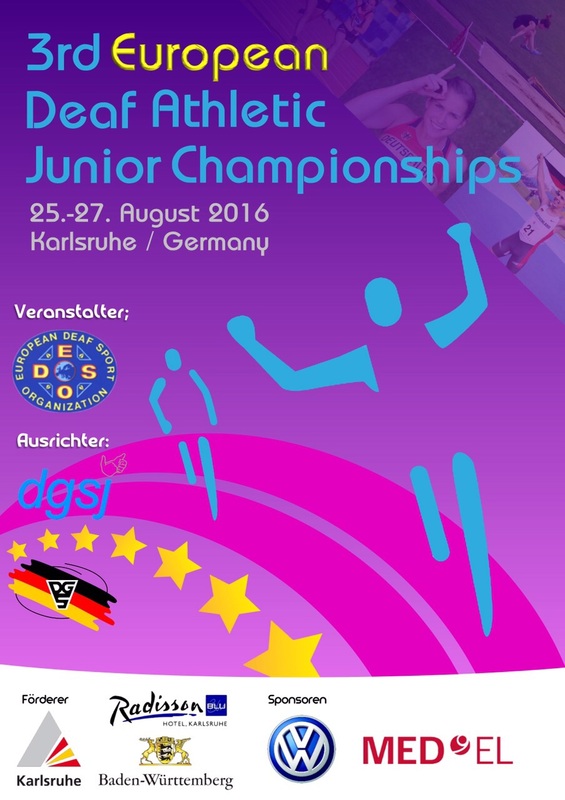 See you all in Germany in 2016! 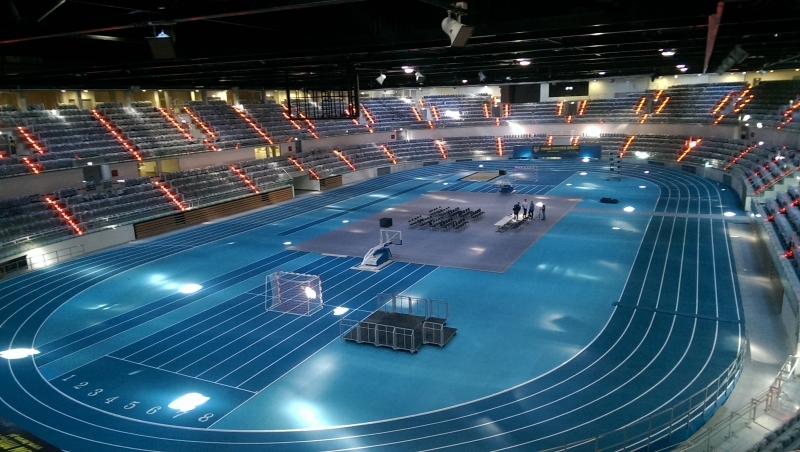 Karlsruhe is waiting for you! Green highlight mean the match is confirmed. 1) Enclosed the table of the summary of martial arts . This is positive overall, there will be 2 categories in Karate to change. 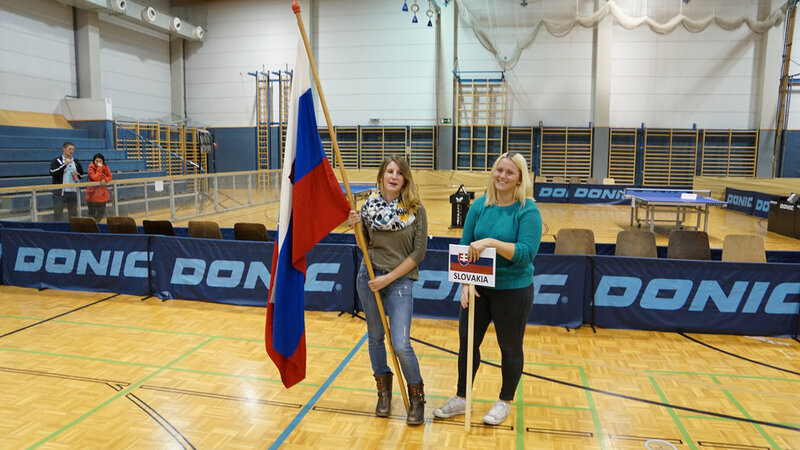 Women's +68kg class will be canceled. 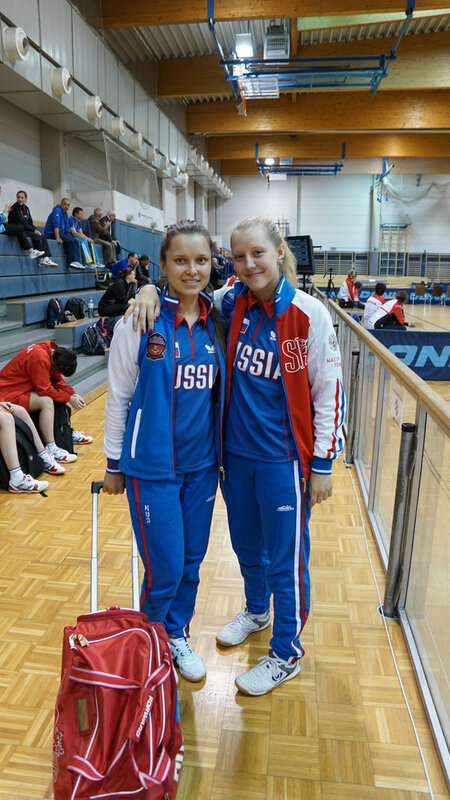 The athlete will be in Kumite open. And for -50kg class, it will be grouped with -55kg class. 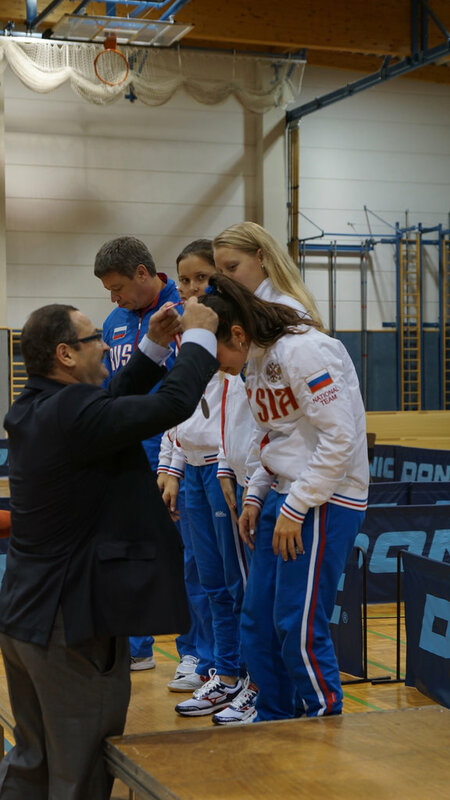 We will ensure that all athletes will participate in the European Championship and it is a great achievement for a first championship of martial arts of Europe. Please follow the steps on the site to make bib. For bibs: Do not forget to tell your coach and your athlete bibs prepare yourself: See link: www.mybacknumber.com/?language=en. ID number (see ID number athlete from ICSD). 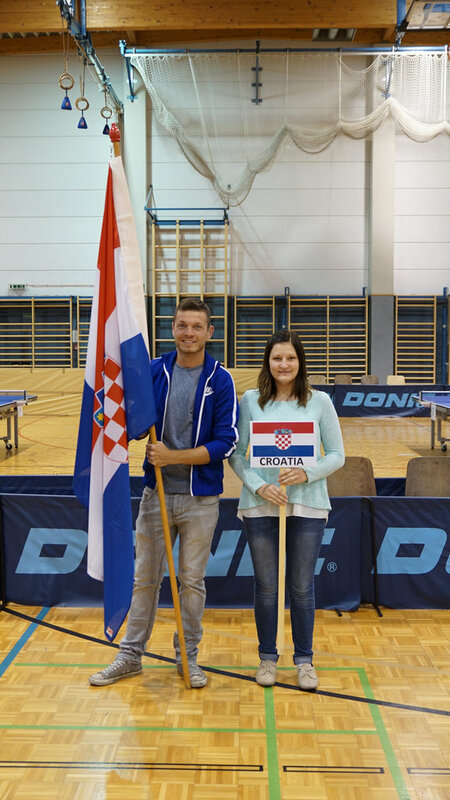 We ask you to do this for the three sports (judo, karate and Taekwondo). 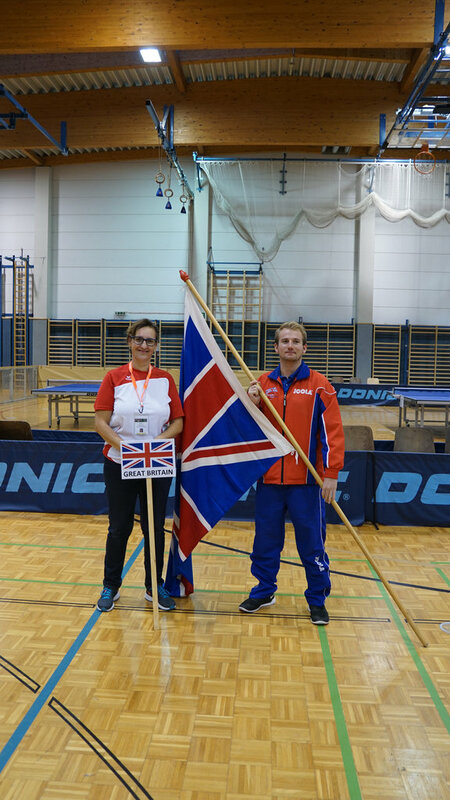 If you have questions, doubts, on the details of each sport: There will be a second technical meeting for each sport (see program), you can express and we can change the details of preparation, of organization, of the regulations for each sport for the next events (World, Europe, Deaflympics) especially for the world championship next year. 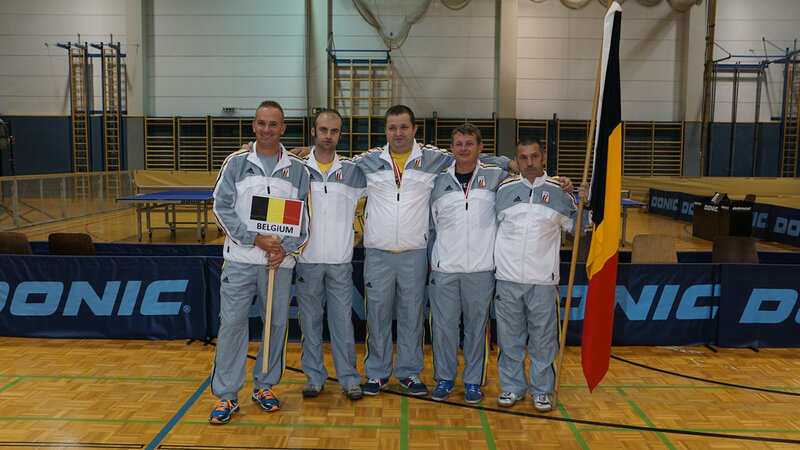 We want you to follow this procedure in order to do well the 1st European Championship of the martial arts. 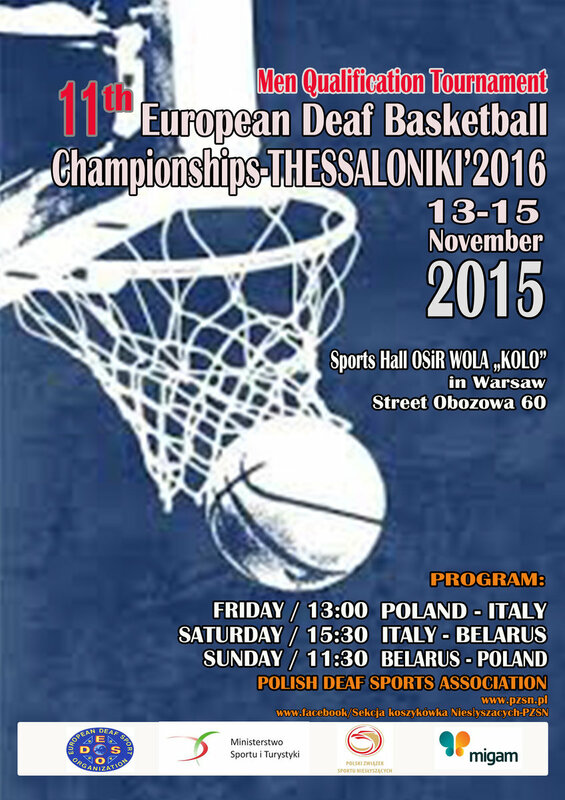 EC Basketball 2016 qualification tournament in group A will be held in Warsaw, Poland 13 - 15 November 2015. Please see all documents in the attachment, and the deadline for final entry form is 13 October 2015. 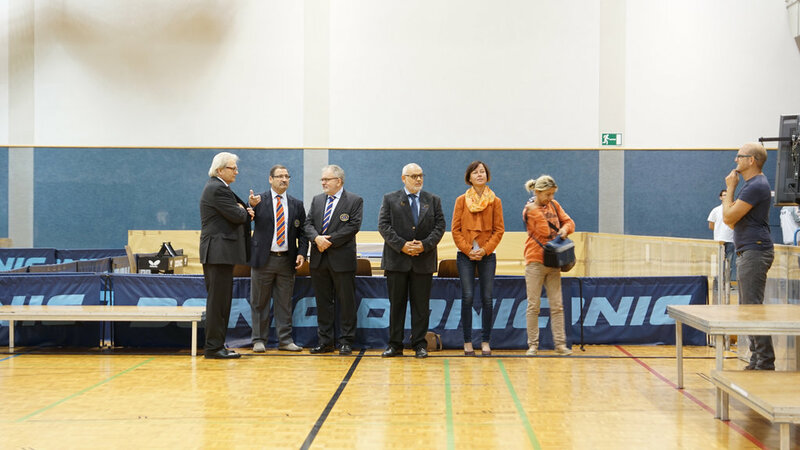 Jürgen Endress is responsible for this tournament and he will be there, please contact he (basketballass@edso.eu) if you have any questions. Jürgen wish you good flight to Warsaw/POL and all best of luck for qualification matches. 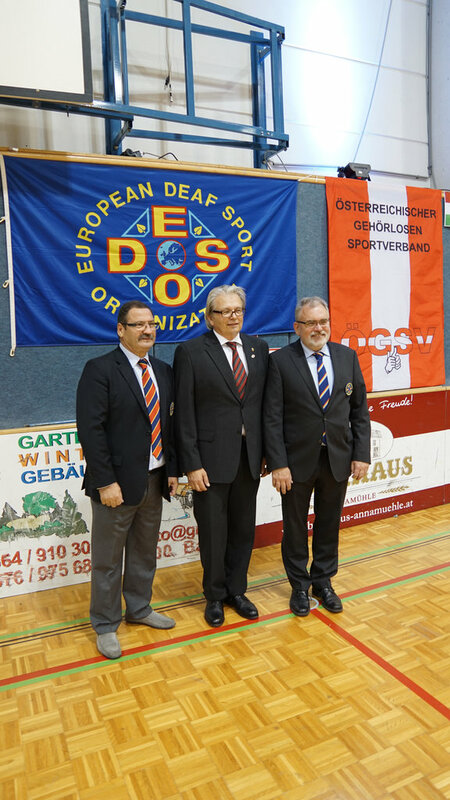 Here is big news for deaf bowling in Europe. Two deaf bowlers are qualified for two big bowling events for hearing. 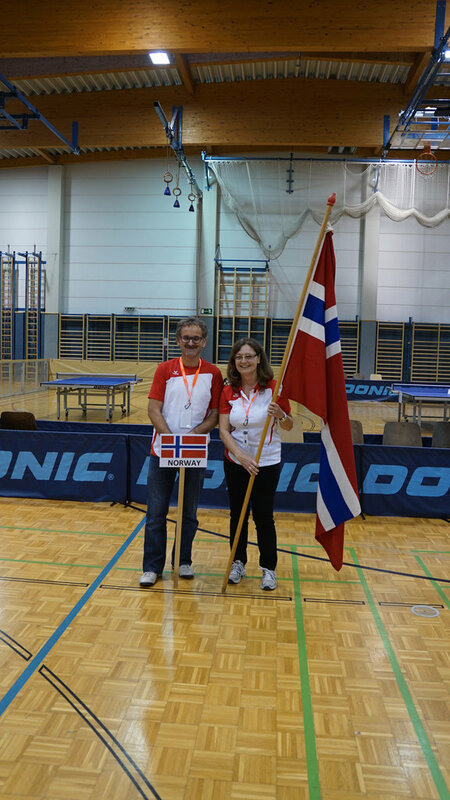 Ragnheidur Thorgilsdottir, Iceland, is qualified to play for Iceland in the European Champion Cup in San Marino 19.-26. October 2015. 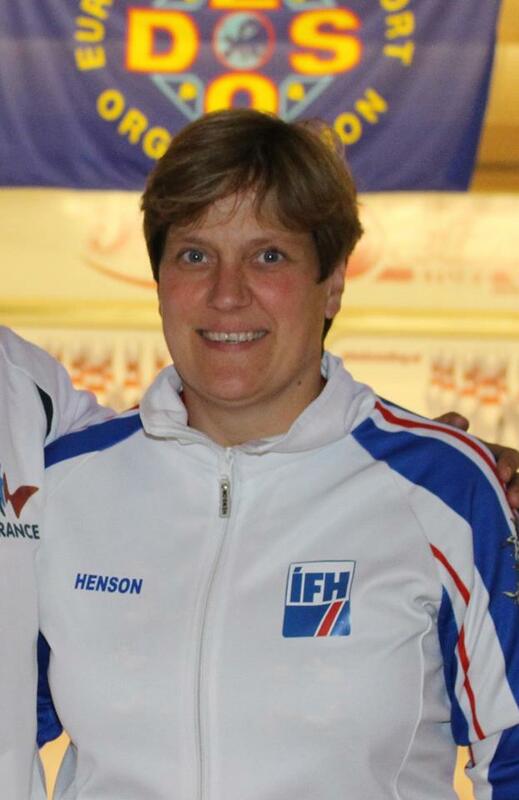 She won the Iceland Bowling Women Championship last Spring. 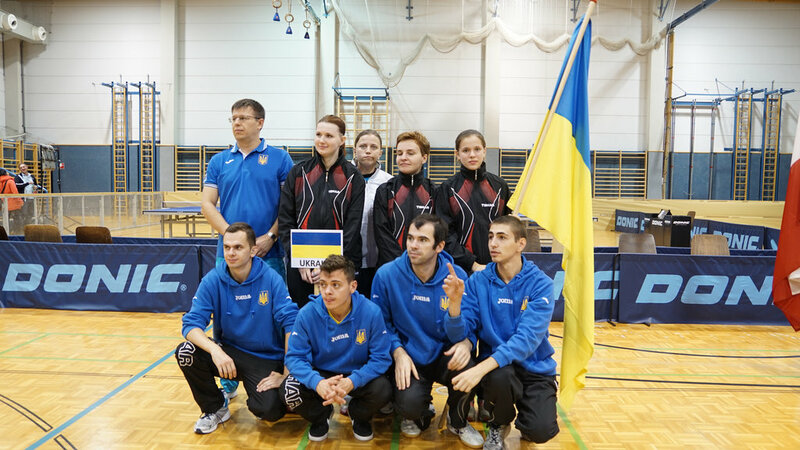 Vladyslav Ialovega, Ukraine, is qualified to the 51st Qubica World Cup in Las Vegas, USA from 13.-20. November 2015. 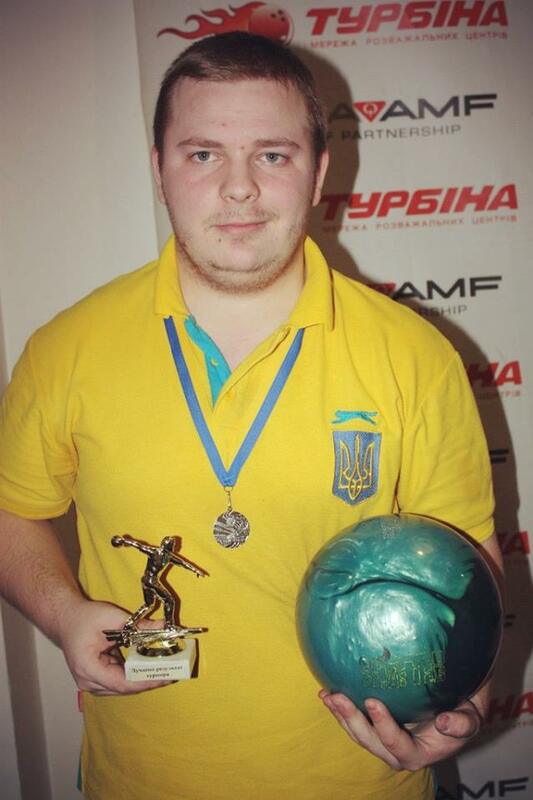 He won the qualification matches in Ukraine and will play for his country Ukraine. The 1st EC of Martial Arts is coming soon. Here below registration by name form, please fill in and send it to us before 26 September 2015. 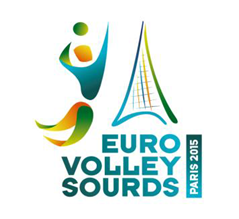 Registration form deadline extended until September 15, 2015! Due about technical problems, the live stream didn't work. 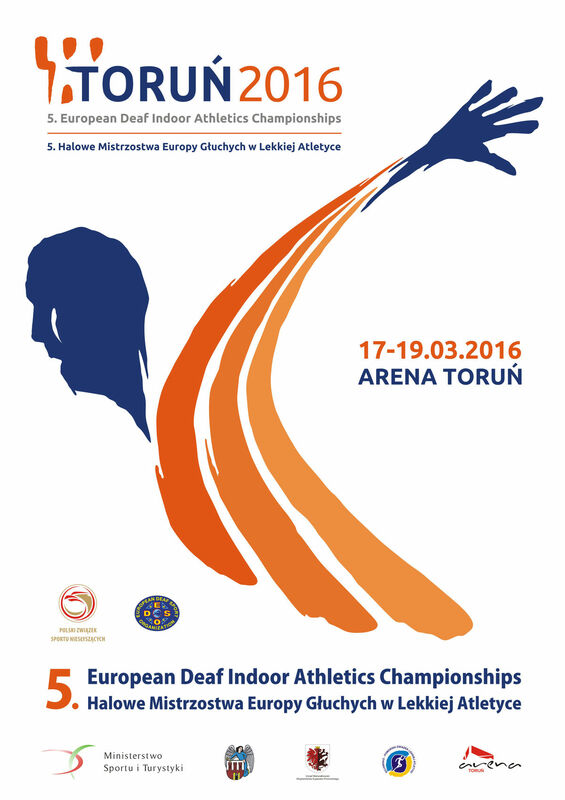 5th European Deaf Indoor Athletics Championships will be held in TORUN, Poland, 17 - 19 March 2016. (1 Sep 2015): There was a change of the star number by youth as well as supplement Official Practice. Moreover, is with the settlement is official announce. With the settlement list is to be obeyed after the basis of the ICSD ranking list. 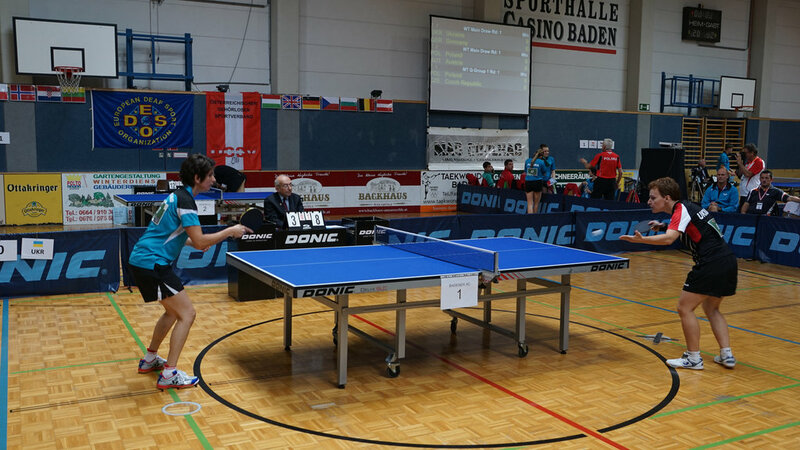 The farewell party will be on the 12th September 2015 at about 19:00 at the "Heurigen Märzweiler". There will be a typical Austrian-Food Buffet. Please tell us at the accreditation if you want to come to the farewell party. Thanks for your cooperation. 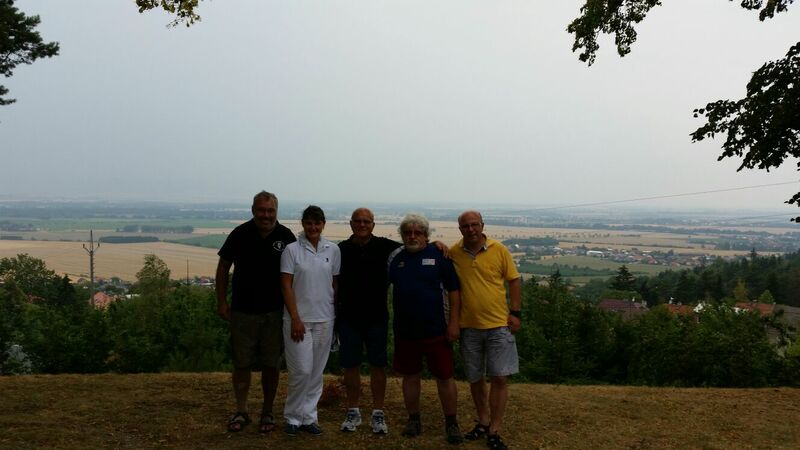 We are looking forward to see you all in Austria. 4. 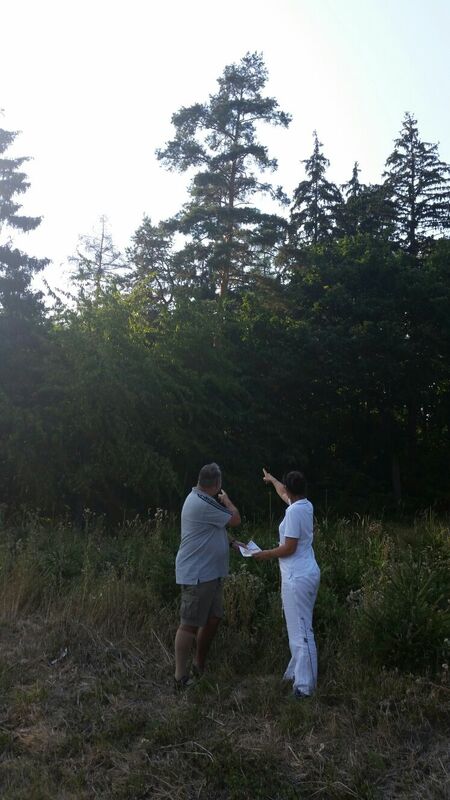 Jindrich Smicka and Olga Dula work with the map. 5. 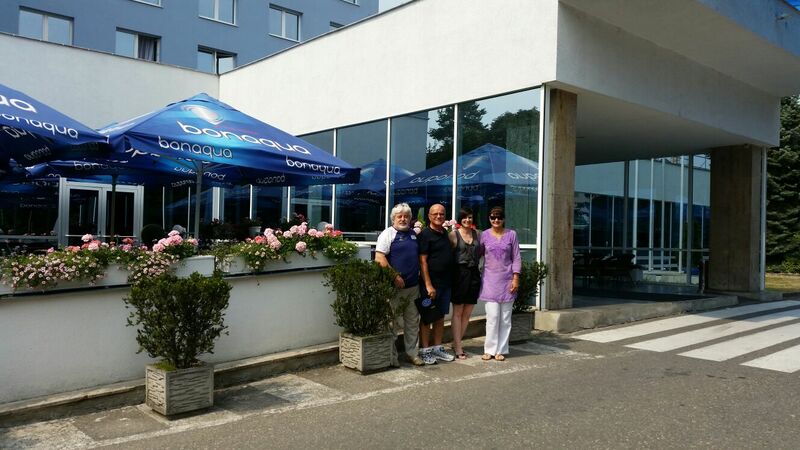 Representatives EDSO and the Organizing Committee after a meeting with a representative of the hotel Flora Mrs. Spurná. Here the Football and Futsal Ranking as of 1st July 2015 attached. 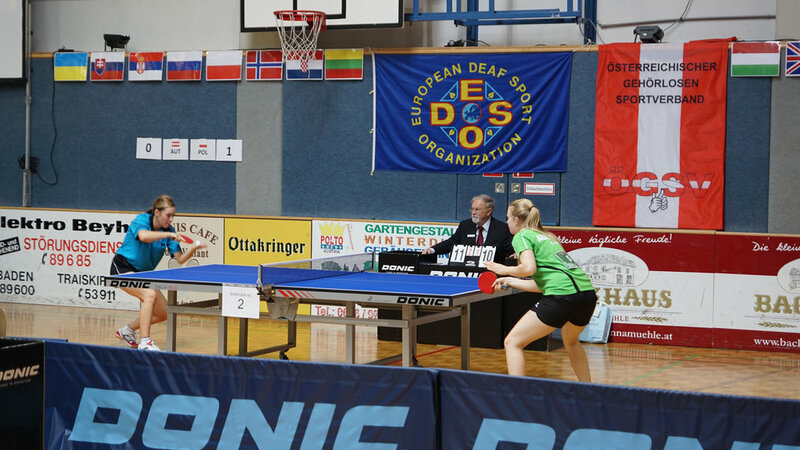 For more photos, please look at http://ecdeafshooting2015.cz/?p=868. NB! 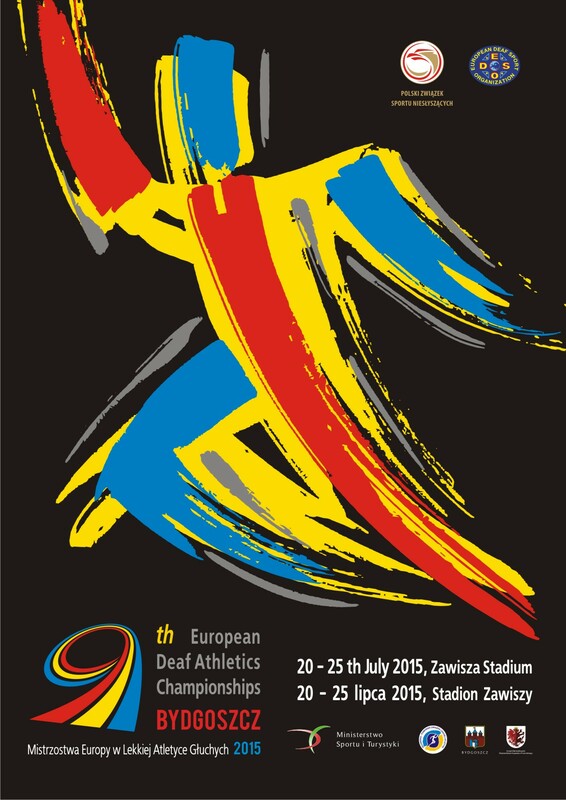 Deadline for sending the forms is 6th August 2015! 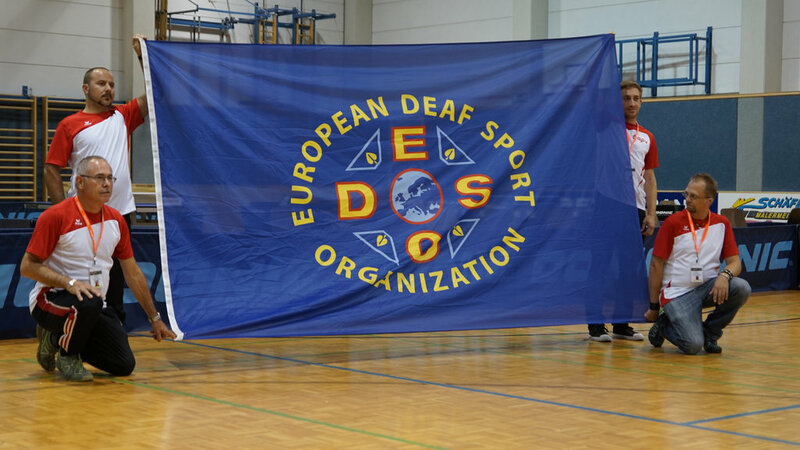 For more photos, please look at EDSO Facebook. 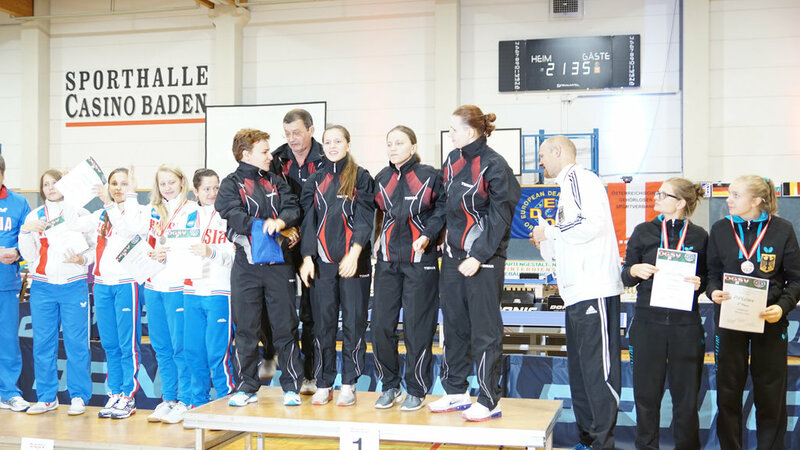 NOTE: The name of the best middle blocker Women (from the Netherlands) is written wrong in the PDF. Wentink Hahné is the right one. 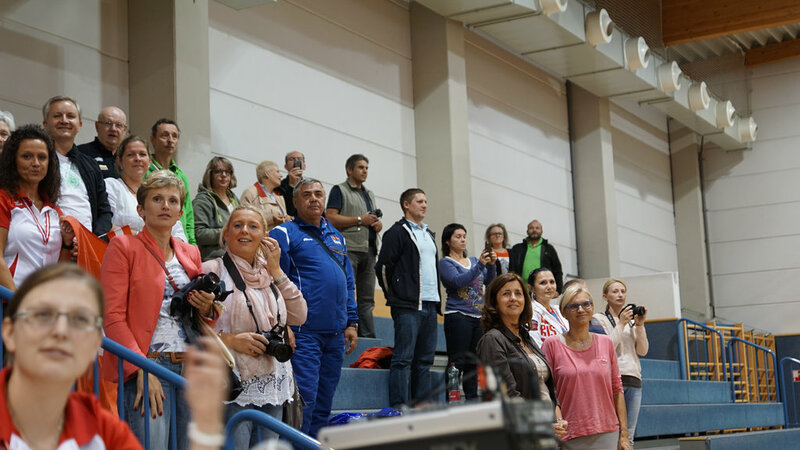 All basketball teams which have registered for preliminaries are now finalised except Belarus in women series. BLR, CRO, ESP, GBR, GER, GRE, ISR, ITA, LTU, POL, RUS, SLO, TUR and UKR. 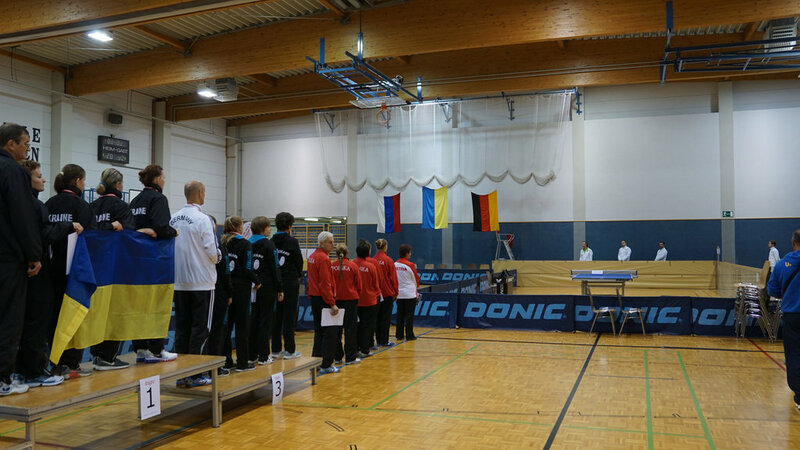 GER, GRE, ISR, ITA, LTU, POL, RUS, SWE, TUR and UKR. See attached amended rules and list the penalty fees. ICSD is working procedure for amending rules for audiogram (7.1.2). Therefore, we can only decide on the technical meeting on 30 June on these rules. 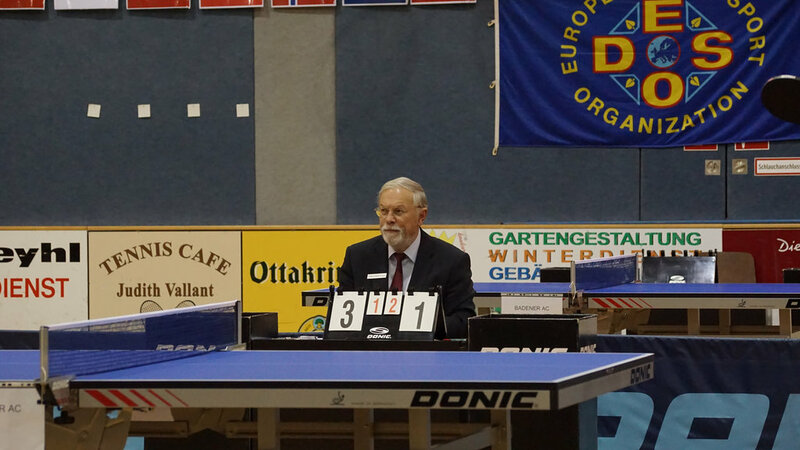 President Bjorn Roine replace Juha-Matti Aaltonen as responsible for the EC from the Executive Committee EDSO. After a meeting with EDSO, the penalty fees were adjusted. See the new Annex. Enclosed you will find the rules and the list of the penalty fees at this EC. 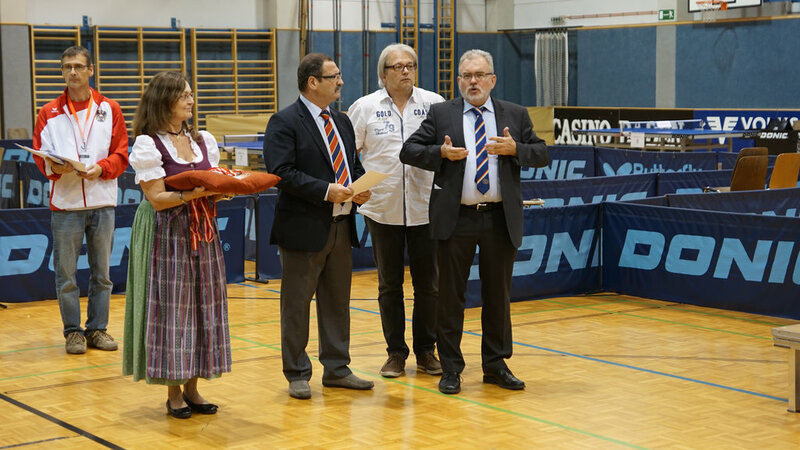 Technical Regulations for the Wrestling (Greco-Roman and Freestyle) and information about the hotel send by May 7. See annex the letter with the official program and regulations 9th EC Volleyball 2015! 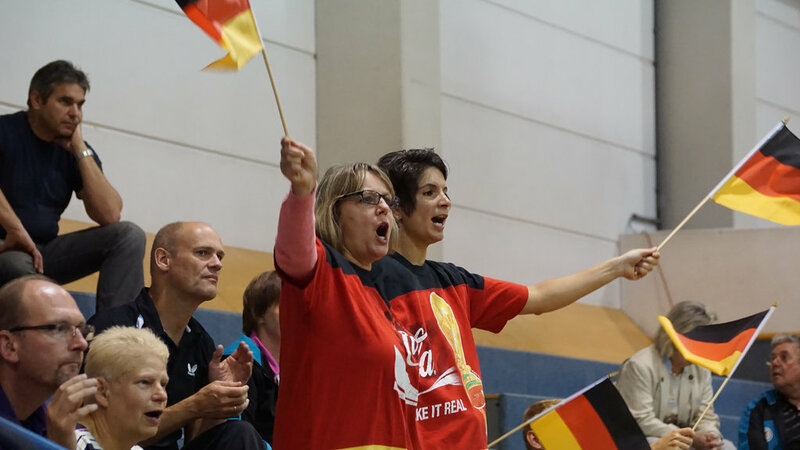 We apologize for the wait because after the withdrawal of the Germany women's team had to adapt the program completely. 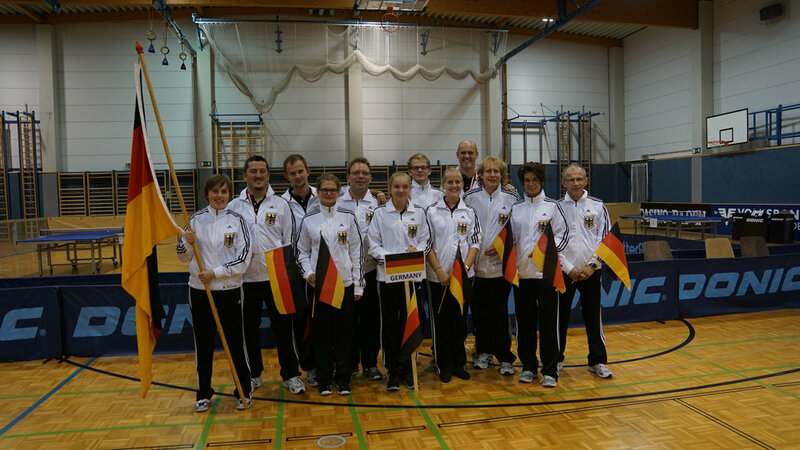 The withdrawal of Germany Women team series format was modified. The women's team of France has moved only one of the 4th category of group C to group D. Because France is also organizer they are listed as a series of head. 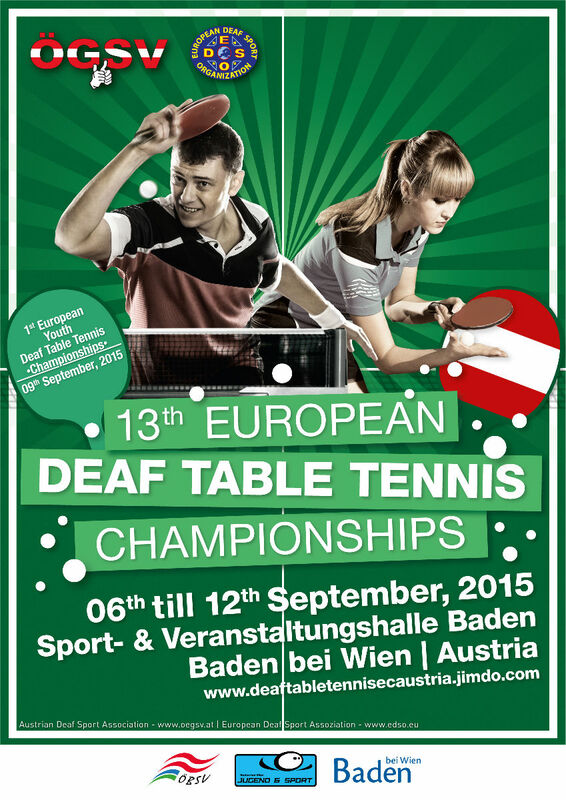 enclosed you find the latest update for the EuroDeaf 2015. 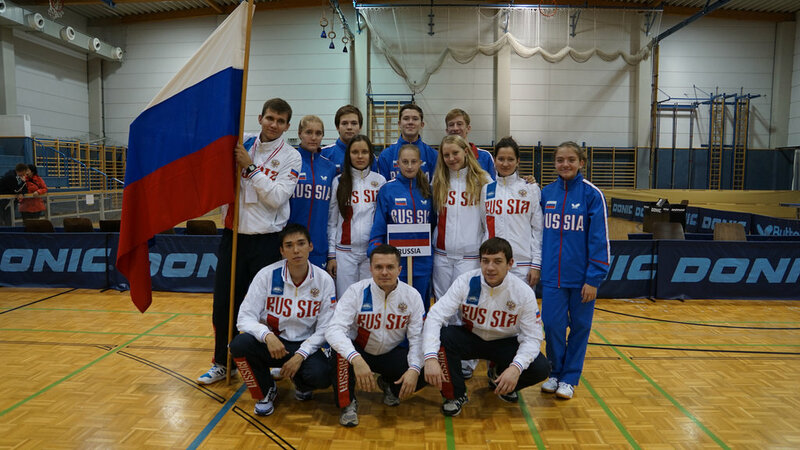 Please be so kind to read it carefully and help us to fill the official website with your team. Here the Football and Futsal Ranking as of 1st April 2015 attached. Here the Football and Futsal Ranking as of 1st January 2015 attached. 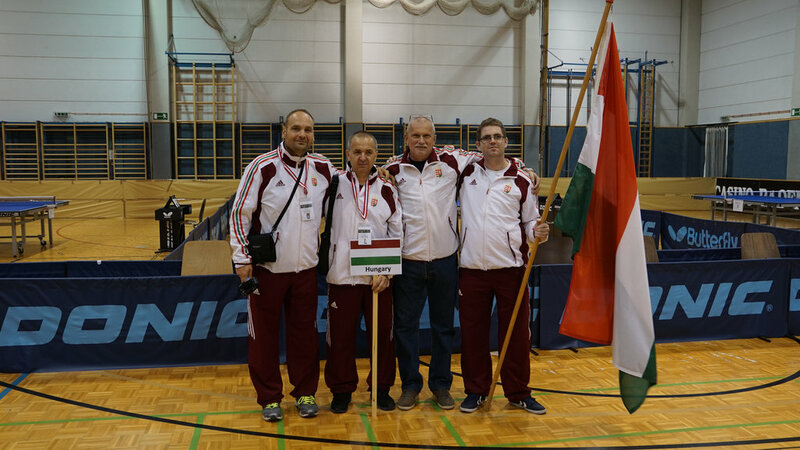 For the 1st European Championship of Martial Arts, we inform you that the European Championship should be organized in Sofia, Bulgaria in June 2015 but canceled due to financial problems. 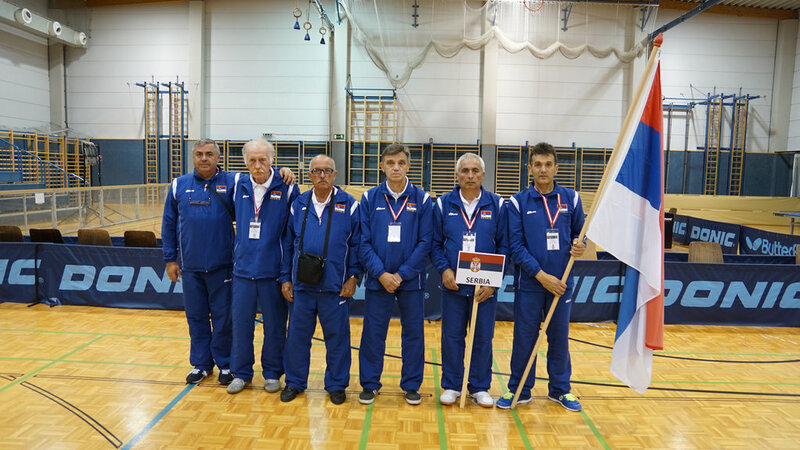 That is why we have not been able to answer you, we were looking for another country that can organize the 1st European Championship of martial arts. 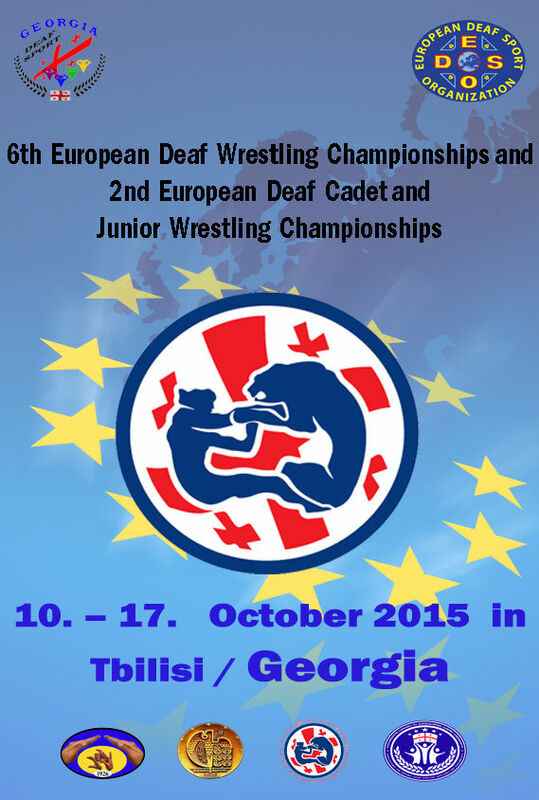 The European Championship of Martial Arts will be in Armenia in Yerevan from 26 to 31 October 2015. 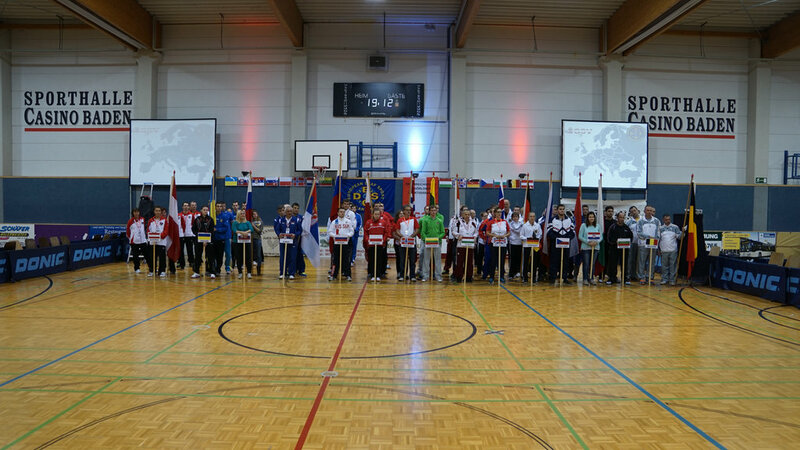 We attach the EC preliminary entry martial arts send it to us before 15 Februaly 2015 and the regulations of each sport. Please respect the the time limit of each form as we had difficulties and we want to organize the best for the athletes.